Aussie Tree Care are specialist qualified arborists conducting all tree lopping Brisbane activities. We provide tree removal and tree pruning services to Brisbane from the northside right down to the southern suburbs. We understand the rules for tree removals throughout the Brisbane suburbs. We are experienced, qualified and insured for all tree lopping Brisbane. We complete tree removals ranging from complex trees requiring multiple rope systems right through to the common lillypilly. We conduct tree pruning to protect your home and family. Furthermore, we complete tree pruning for aesthetics, privacy screening and to improve the health of the tree. Our Brisbane arborists can help you with all of your tree lopping needs. All of our work is completed by qualified arborists who work to Australian Standards. You can be assured that your trees are in good hands with Aussie Tree Care arborists, servicing Brisbane, Logan and the Gold Coast. Our crews of qualified arborists are specialists in Brisbane tree removals. We also have a good relationship with Brisbane City Council, enabling us to easily liaise with them regarding the tree work you would like to complete. 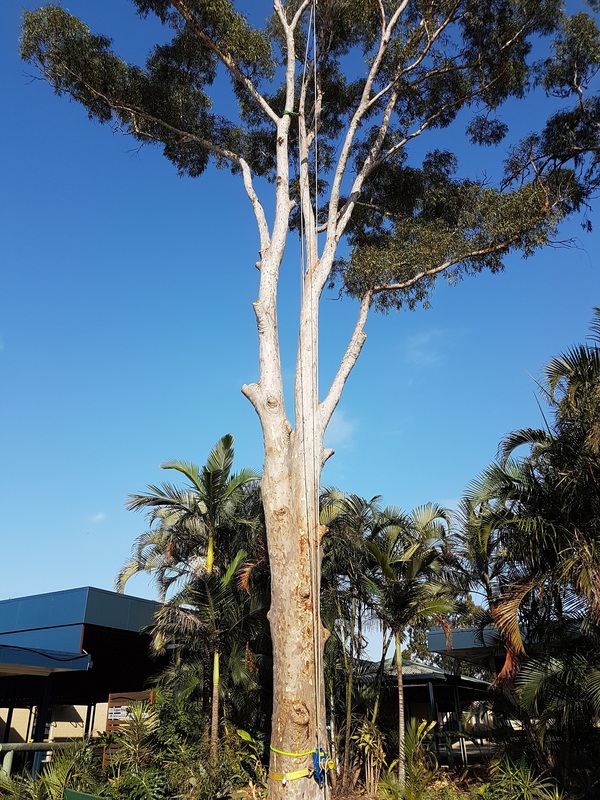 We have completed Brisbane tree lopping for state schools, catholic schools, real estate agents, and homeowners across the northern and southside suburbs. We are experienced, qualified and insured for all tree work. Call Aussie Tree Care on 1300873300 to find out how we can help you or click on our Contact Us page to send us a quick message. We will be sure to get back to you as quickly as possible for any work related to tree lopping Brisbane.